Why’s F. Chuck So Worried About How Democrats Spend Money? RUSH: Here’s F. Chuck Todd, NBC. He was talking to Tom Perez, the Marxist leader of the Democrat National Committee now. This was yesterday on Meet the Press. Remember, Chuck’s wife is a Democrat consultant, which means she makes money running Democrat campaigns. And the campaign that she was heavily involved in in 2016 was Bernie Sanders’. During the primaries she made a lot of money on that campaign. Consultants make a lot of money in a percentage of the advertising that’s purchased, and of course there are other, as in the case with consultants, hidden fees and things like that all over the place. Now, why, of all things to ask this guy about his lawsuit, F. Chuck Todd asking about the money. Well, let’s play the game the way the Democrat media does. Could it be that Chuck is worried that all of this money being spent on this lawsuit will mean less money spent on people like his wife in hiring consultants and so forth to run the campaign this year and 2020? 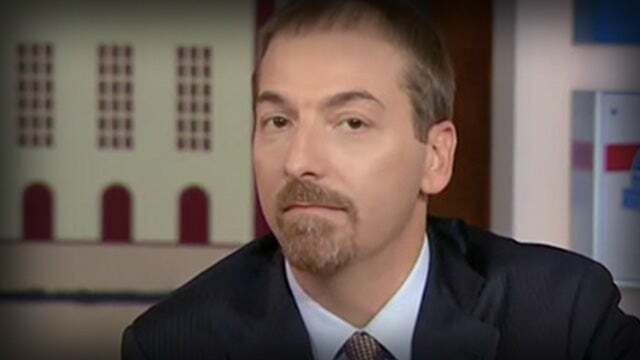 Chuck Todd is a journalist. Why is Chuck worried about the money the DNC is spending? What does he care? He’s an independent, objective, and fair and balanced journalist. What possible interest could he have in the money that they’re spending? Here’s Perez’s answer. TODD: You didn’t answer. How much money is this lawsuit gonna take this year? Millions? PEREZ: I don’t know the amount of money that it will take, but I’ll tell you, it’s hard to put a price tag on preserving democracy. RUSH: Come on, Perez. These guys are pathetic. “Chuck, we can’t afford not to do this, ’cause when you look ahead, you saw what was done before and what they’re trying to do again. Our democracy’s at stake.” It is, actually, but not from the Russians. Our democracy is at stake because of liberalism, which does not believe in democracy. Liberals really, bottom line, do not believe in democracy. But I still find it fascinating that Chuck’s concerned with the money. Why would he be concerned that Democrats are wasting money on a lawsuit? I mean, he knows they’re not gonna win it. I’m gonna tell you, this lawsuit’s gonna get thrown out if it ever gets anywhere, it’s gonna get thrown out. You mark my words. But before that, since Chuck’s wife’s income, and therefore the Chuck family income, is dependent on a lot of money flowing in campaigns, could it be that’s why Chuck’s worried it’s gonna be wasted in a lawsuit? I don’t know. But I think that’s how Democrats in the media would report on potential collusion and conflicts and so forth. ABRAMS: Very high that he’s gonna be indicted. But we have to separate out the two. They got a warrant here not because there was information on Donald Trump that they wanted from Michael Cohen. They got the warrant because there was information on Michael Cohen potentially committing a crime. DERSHOWITZ: And if you believe, that I have a bridge here I can sell you in Brooklyn. DERSHOWITZ: Absolutely. You can get judges to sign off on warrants like Christmas presents. ABRAMS: Right. To get information on his client. So they signed off on a warrant saying, we want information on his client, not on him? DERSHOWITZ: There’s no way in which they would go after Michael Cohen if they weren’t interested in his client. So Abrams continues to explain what he means. “Let’s be clear, let’s just be clear here. To get information on his client, they signed off on a warrant saying, we want information on his client, not on him.” And Dershowitz, “Come on. Nobody would care about Cohen if his client weren’t Trump.” But Dershowitz was not finished. He kept opining. ABRAMS: Who is “they,” by the way? DERSHOWITZ: The Southern District of New York. ABRAMS: Okay. So it’s not Mueller’s team now? RUSH: Well, they are, obviously, but Mueller referred it to them. So what do you think about that? Going after Cohen, search warrant for Cohen to find evidence on Trump. There’s no question that that’s true. But if they can take out Cohen they’ll do it, simply because he is tight with Trump. No question about it.